What a delightful full day! The children and I worked on preserving a mountain of pears that were given to us. 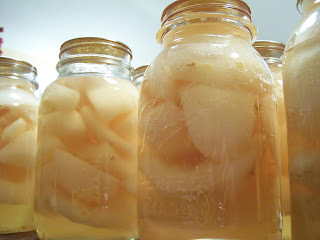 We have made pear butter, dehydrated pears and canned whole pears. I suppose that I am easily pleased, but is this not a lovely sight?